Nearly two-thirds of adults over age 70 have hearing loss that doctors consider “clinically meaningful.” In plain English that means as people age, they are likely to become hard of hearing. Many of those people, however, don’t get the help they need, often because they simply cannot afford it. Lin spoke about the subject to a group of journalists in a recent phone conference sponsored by a Washington, D.C., advocacy group the National Committee to Preserve Social Security and Medicare. He is a co-author of a June report issued by the National Academies of Sciences, Engineering and Medicine that recommends better access and support for treating hearing loss. Lin told the group that although hearing loss is a normal part of the aging process, “hearing care is inaccessible” to many seniors. He said studies over the past five years have shown that such loss “can increase the risk of cognitive decline.” Using data from a longitudinal study (one that tracks data from the same people repeatedly over many years or decades) that began in 1958, Lin and his colleagues at Johns Hopkins found that those with hearing loss had a higher probability of developing dementia. The more severe the loss, the more likely the dementia. That isn’t the only problem. Hearing loss is also associated with a greater risk for falls and other accidents because those afflicted with it can’t hear traffic or smoke alarms in their homes. Furthermore, those with hearing loss often feel isolated and shun normal social contacts because they can’t hear others speak. That’s a blow to productive aging, the goal promoted by the late Dr. Robert Butler, a well-known gerontologist who fought against ageism. So why, then, is hearing care so inaccessible? Cost may be the major barrier. Nearly all expenses for hearing care must be paid out-of-pocket, and for many seniors on fixed incomes, that’s sometimes hard to do. Lin told me the average cost of two hearing aids is $4,700 and rarely covered by insurance. Medicare doesn’t cover hearing exams, hearing aids, or exams for fitting hearing aids. It does, however, cover diagnostic hearing and balance exams but only if your doctor orders those tests to see if you need medical treatment. In that case, if a person has traditional Medicare and a Medicare supplement policy, often called a Medigap, he or she has to pay 20 percent of the approved amount for the exam. Some Medicare Advantage plans may include hearing tests as part of the extra benefits they offer. The national committee and other advocacy groups are campaigning to add a hearing benefit to Medicare’s benefit package. Their campaign is bucking the trend in Washington to cut Medicare benefits by raising the age of eligibility, making richer seniors pay more, and requiring those with traditional Medigaps to have more skin in the game. Part B that pays for physicians’ services, lab tests and hospital outpatient care. The theory behind this shift is that seniors will pay more and the government less, thus helping to save Medicare money. I asked Dan Adcock, the national vommittee’s policy director, about the chances of adding benefits to treat hearing loss, or for that matter vision and dental care, when the focus has been on cutting benefits of all kinds. He said one major source of funds to pay for hearing aids could come from lowering the price Medicare pays for drugs. The 2003 legislation that gave seniors a drug benefit also prohibited the government from negotiating prices for the drugs it buys. Drug makers strongly oppose such negotiations. Adcock said he remains hopeful. If better hearing means a decrease in dementia, falls and accidents, fewer people would need treatment for those conditions. The savings could potentially pay for the hearing aids, he said. For now, though, seniors and their families are on their own. The National Academies of Sciences, Engineering and Medicine offer an Action Guide for Individuals and Families that suggests steps people can take to prevent hearing loss and strategies for families to cope with it when it occurs. It’s available at nas.edu/hearing. What experiences have you or a family member had with hearing loss and obtaining treatment? Write to Trudy at trudy.lieberman@gmail.com. Summertime is the time to kick back, relax and take it easy. Whether you are on Medicare yourself or are a caregiver for someone who is, one thing you can do to make things easier is to set up auto payment of premiums. Using auto payment for premiums will make Medicare simpler and limit the chance of coverage lapses and reinstatement penalties down the road. Medicare Part A has no premium for most people. The other parts of Medicare — including Medicare Parts B, C and D — do require premiums. Medigap coverage requires premiums as well. Circumstances such as extensive travel, relocation, forgetfulness or serious illness can interrupt premium payment disbursements. People often are unaware of overdue payment notices for the same reasons. If payments lapse beyond the grace period, coverage is lost. When that happens, the person has put themselves in a very difficult position. Lack of coverage often becomes apparent when medical bills and prescription drugs are not covered, resulting in costs becoming the personal responsibility of the beneficiary. •	Medicare Easy Pay is an auto payment offering by Medicare. It is a free, electronic payment option that allows people to have their Medicare premium payments automatically deducted from a savings or checking account each month. Year over year premium payment amounts are automatically adjusted by the Medicare Easy Pay system, eliminating the need for the beneficiary or a caregiver to make this adjustment manually. •	Premiums can be set up for auto payment through an online banking debit system. Make sure to update the Medicare B premium payment amount in the online system whenever there is a change, e.g., in January each year if rates increase. •	People who pay Medicare Part A premiums can also use these auto payment options. Medicare Parts D and C, also known as Medicare Advantage Plans, can be set up for automatic deduction from Social Security benefit payments. •	Timing can be tricky if people change their Medicare Part D or C plan late in the annual enrollment period. If that is the case, double check with the insurer to determine if the January payment needs to be made before the auto deduction plan goes into effect. •	Payments can also be made via automatic bank debit through an online bill payment system. Make sure to update the new premium payment amount if there is a year over year increase, which is often the case. Medicare Parts D and C premium notices are sent out by the insurer near the end of September each year and are effective January 1 of the following year. Medigap premiums cannot be deducted automatically from Social Security benefits. They can be set up as automatic bank drafts. When annual premium notices are sent out in the fall each year, the premium amount needs to be adjusted for January 1 of the following year. Some people are worried about auto payment systems because of the potential for identity theft. While that is understandable, the risks of nonpayment may have bigger costs than using proper online security and banking procedures. For some, it is a matter of pride and independence to pay their bills on a monthly basis as they always have. Yet they remain at risk for missing a payment. A helpful safety net in these circumstances is to authorize for the insurer to notify a third-party, such as a caregiver, if coverage goes unpaid and is in danger of lapse. Some companies offer these notices via email and text in addition to traditional mail. Setting up auto payments and nonpayment notifications takes a little effort up front, yet it pays off by cutting down the time required to attend to these matters. It also limits exposure to costly coverage gaps and penalties. When you and your clients use these tips to avoid the pitfalls of premium nonpayment, managing Medicare and having coverage work when it’s needed will be easier than ever! Katy Votava, Ph.D., R.N., is president of Goodcare.com, a consulting service that works with financial advisers and consumers on health care coverage. 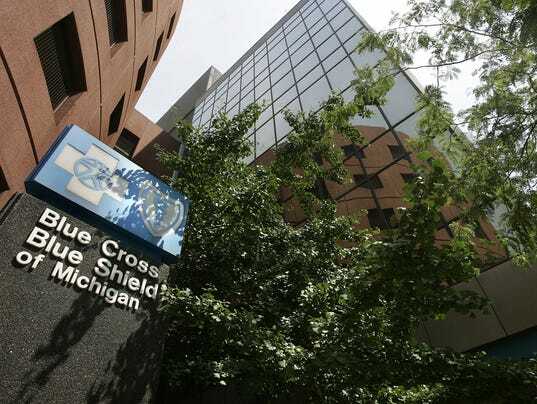 DETROIT (AP) Blue Cross Blue Shield of Michigan is extending a rate freeze through Dec. 31 on some plans. The health insurer says Wednesday that the freeze in its Legacy Medigap supplement plans will help nearly 200,000 subscribers prepare for rate hikes that will start Jan. 1, 2017. It says the increases will be the first since 2011 for the plans. The plans expand Medicare benefits while lowering the total cost members pay for health care. After Jan. 1, the Michigan Health Endowment Fund will provide financial support for low-income Medigap enrollees. Rate increases in Legacy Medigap Plan C Blue Cross’ most popular option will range in southeast Michigan from about $48 per month to $177 per month. Reasons for the increases include an end to a subsidy program. In 2015, SHIPs provided assistance to more than 7 million people including nearly 1.3 million people with incomes below 150 per cent of the Federal Poverty Level (less than $18,000 in annual income for a single household). And those numbers are going up significantly, with 10,000 Baby Boomers every day becoming eligible for Medicare benefits. That’s 10,000 more people – daily – who are confused by the array of choices, don’t understand the coverage offered, aren’t sure whether it will include the drugs they need, and have no idea what their rights are. Volunteers play a vital role, providing about half of SHIPs counseling sessions. But this work can’t be done by volunteers alone, and volunteers can’t go it alone. It takes money to screen, train, and support these valuable partners. Q. I don’t know much about Medicare, and I’m 62 and I’m trying to budget for retirement in three or four years. What kind of extra insurance do I need above standard Medicare and what will it cost? A. We’re glad you’re trying to plan ahead, but there are so many variables to consider. There’s also no one correct answer for everyone, but this should give you some important guidance. For starters, according to a JAMA Internal Medicine study, overall health care spending went up 2.9 percent from 2009-2013, said Alyssa McMahon, a certified financial planner with Prestige Wealth Management in Flemington and Millburn. Currently, Medicare covers services such as lab tests, surgeries, and doctor visits. It also covers supplies — such as wheelchairs and walkers — that are considered medically necessary to treat a disease or condition. McMahon said Medicare Part A covers hospitalization and nursing home care if medically necessary. She said this does not include custodial care, like help with bathing and dressing if that is the only coverage you need. Medicare Part B covers doctors services, outpatient care, medical supplies and preventative services. McMahon said most people pay the Medicare B premium of $104 per month, but depending on your income, it could go as high as $389.80 per month in 2016. There is a $166 per year deductible and then you may have to pay 20 percent of the Medicare-approved amount of a service, depending on the treatment you get, she said. There is no annual limit on out-of-pocket costs on Part A or Part B services. Premiums for Medicare Part D, or prescription drug coverage, varies by plan but on average is around $33 per month plus any applicable surcharge for high income participants. That ranges from an additional $12.70 to $72.90 per month, McMahon said. McMahon said after that, you are then out of the gap and you just pay a small coinsurance or copayment for the rest of the year. Most people look into enrolling in either a Medicare Advantage (Part C) plan or Medicare Supplement — known as a Medigap plan — to help with the gap of Part D and the lack of a max out-of-pocket in Part A and B, McMahon said. McMahon said Medigap is private insurance you can purchase to cover some or most of the “gaps” in traditional Medicare like copayments and deductibles but it does not cover out-of-pocket drug expenses. “How it works is that Medicare will pay its share of the Medicare-approved amount for covered health care costs and then your Medigap policy pays its share,” she said. There are 10 types of Medigap policies covering different healthcare costs, McMahon said. They are standardized by law but insurers still charge widely different premiums for the exact same coverage. Premiums for the same plan can vary depending on things like age, gender, health, whether there is a high deductible option and if they use medical underwriting, to name a few. There are no out-of-pocket maximums available on these plans, McMahon said. And some Medigap policies may cover medical care when you travel outside of the US. Medicare Advantage, or Part C plans, are a variety of private health plans (HMOs and PPOs) that are coverage alternatives to traditional Medicare, McMahon said. These plans are required to have out-of-pocket annual maximums, McMahon said, and premiums costs vary by state and are in addition to your monthly Part B premium. Typically these plans are not accepted nationwide like traditional Medicare insurance is. McMahon said you cannot purchase both plans. If you have a Medicare Advantage Plan, you cannot also enroll in a Medigap policy, she said. • Part A: most likely no premium. • Part B: premium $104/month plus any surcharge for high income participants (could go up to $389.80/month). • Part C (Medicare Advantage): premiums could range from $0-$179.10/month or Medigap from $99-$329. • Part D: premiums $33/month plus any surcharge for high income participants ($12.70 – $72.90/month). Copyright © 2016 Crain Communications Inc.
For seniors in the popular Legacy Medigap Plan C, the size of the proposed increases range from about $48 additional per month for a 65-year-old woman in southeast Michigan (a total of $170 per month, not including potential subsidy), to a high of $177 additional per month for an 80-year-old man (a total of $300 per month, not including potential subsidy). Under current rates, both the 65-year-old woman and the 80-year-old man are paying $122.86 per month for Legacy Medigap Plan C — as is everyone else. Rates would jump the most for policyholders under age 65, typically the disabled. Their Legacy Medigap Plan C rates would increase by $192, hitting about $315 per month. Blue Cross says its current rates do not reflect the actual cost of health care, resulting in big losses that are unsustainable. The proposed increases reflect the end of a direct Medigap subsidy program that dated to 1980 and was set to end once Blue Cross transitioned to become a nonprofit mutual insurer in 2014. The insurer says it anticipates that the rates it filed today with the Michigan Department of Insurance and Financial Services will ultimately get approved by regulators there. “A thorough review of filed rates will be done to ensure compliance with state law,” said department spokeswoman Andrea Miller. Michigan Medigap subsidies ranging from $40 to $125 a month are still available for income-eligible seniors through the Michigan Health Endowment Fund, but an application is required. Household income must be $17,820 or less for one person to qualify or $24,030 or less for two people. The application start date is Oct. 1 and the deadline is Dec. 15. To apply, go to MichiganMedigapSubsidy.com or call 1-866-824-9772. About 32% of the Legacy Medigap customers are eligible for a subsidy. Going forward, Blue Cross expects its Medigap rates to adjust every year — as health care costs and insurance rates always do. While the new rates take into account age, gender and geography, they don’t use health status as a rating factor and Blue Cross will continue to accept all Medigap applicants regardless of pre-existing conditions. Prices will be slightly lower for seniors outside of southeast Michigan becasue of regional differences in health care costs. The age-based rate hikes would eventually stop at age 80 for men and women. “This is going to be a big jump for just about everyone,” said Jo Murphy, executive director of the Michigan Medicare/Medicaid Assistance Program. The proposed increases “add up quickly, especially if you are retired and on a fixed income,” she said. Sold by private companies, Medigap policies pay some of the costs that Medicare doesn’t, such as co-payments, co-insurance and deductibles. 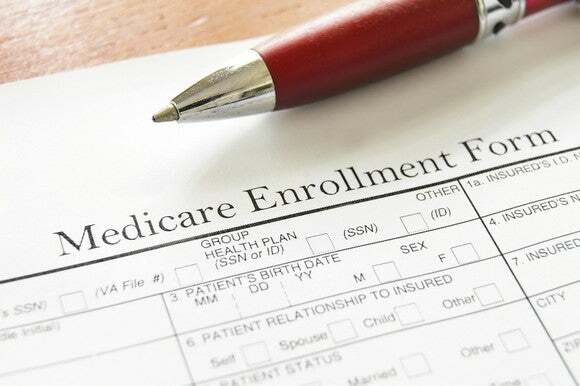 Medicare Advantage plans are not affected by the new rates. Health care experts say that some seniors might be better off switching to a different Medigap plan or an Advantage plan, which tend to be less expensive. Advantage plans offer managed care coverage, such as that through health maintenance organizations known as HMOs. “Those folks who are just over the (subsidy) thresholds will have to look at the plans and see what is affordable for them next year,” said Jennifer Therrien, a coordinator for the Michigan Medicare/Medicaid Assistance Program, which helps beneficiaries sort through their Medicare options during open enrollment periods. Blue Cross says its Medigap plans have been priced far below the actual cost of providing care, with its Legacy Medigap program costing the insurer $1.54 for every $1 it took in. Overall, the insurer projects a $249-million loss on the program this year, which it calls a “disproportionate strain” on its business as Medigap Legacy plans represent just 4% of its total customers. The projected size of the insurer’s 2017 loss under the higher Medigap rates was not available Wednesday. Blue Cross said the new rates are more in line with other insurance companies in Michigan. It says it still expects to spend $1.10 for every $1 it takes in from Medigap under the new rates. Blue Cross has just more than 50% of the Medicare supplement insurance market in Michigan. Those who follow the health care industry had been anticipating a large Medigap rate increase from Blue Cross once the five-year rate freeze ended. The freeze was the result of a 2011 agreement between Blue Cross and Michigan Attorney General Bill Schuette. Although the freeze expires July 31, Blue Cross opted to keep the current rates until Jan. 1. While current Blue Cross Legacy Medigap Plan C members can keep their plans, the Legacy plan will close to new enrollment on Nov. 14. New customers will be directed to various new, yet similar, Medigap plans. Medigap policyholders in recent days were to receive the first of several informational letters about the proposed changes. Additional information is available at MIBluesPerspectives.com. The Michigan Health Endowment Fund that will provide the new Medigap subsidies was created as part of the Blue Cross reorganization. Blue Cross is required by law to contribute up to $1.56 billion over 18 years to the fund. Changes are subject to the completion of the regulatory review process. The Michigan Health Endowment Fund recently announced the creation of the Michigan Medigap Subsidy and commitment of $120 million to fund the subsidy over a four-year period. The subsidy is designed to help low-income seniors and disabled individuals pay for Medigap insurance, used to supplement Medicare. The subsidy will be available to Medicare eligible Michigan residents with an annual income at or below 150 percent of the federal poverty level ($17,820 or less for an individual and $24,030 or less for a couple). The program will cover roughly 79,000 Michigan residents. To determine subsidy amounts and eligibility, the Health Fund sought input from all major senior and disability advocates, including Area Agencies on Aging and AARP; insurance carriers; and state government officials and departments. “We are so pleased that the Health Fund reached out regarding the subsidy, and sought input from groups representing beneficiaries,” said Sarah Slocum, director of the State Long-Term Care Ombudsman Program. Calling the subsidy a “Goldilocks plan,” Slocum praised the “timely, strategic, and robust conversation” the Health Fund initiated with stakeholders. • $65 for individuals 76 or older. The subsidy is only available to Medicare-eligible individuals who are enrolled in Medigap plans under participating insurers: Blue Cross Blue Shield of Michigan, Blue Care Network, Health Alliance Plan of Michigan (HAP), Priority Health and United/AARP. Medigap policyholders will be able to apply for the subsidy online, by phone or by mail beginning on Oct. 1. Applications must be submitted by Dec. 15 for coverage beginning on Jan. 1. More information is available at MichiganMedigapSubsidy.com or by calling 1-866-824-9772 (TTY: 1-866-824-7002). Medicare has grown into being one of the nation’s largest health insurers – some 55 million of us are in it, mainly seniors, and about one in four now buys a so-called Medigap policy, aka Medicare Supplement, which is intended to pick up costs that would otherwise slip through the coverage cracks of Medicare. What you don’t know about Medigap when you buy that policy may come back to bite you. There are ten Medigap plans commonly available, and labeled “A through N. Coverage” – and prices – vary wildly from plan to plan. A high deductible Plan F might cost $50 per month; there’s a $2,180 annual deductible. Standard Plan F – one of the most popular plans – might cost $170 per month. It covers foreign emergency care (usually ignored in most Medigap plans), care in a skilled nursing facility (not covered by some Medigap plans) and a lot more. Medicare succinctly outlines plan differences here. Here’s the problem, and it is understood by few who enroll in Medicare: start out with a bargain Medigap plan, because you want to save the money and, furthermore, your health is good, and you may think that some years down the road, when the heath has worsened, that it will be a matter of checking some boxes to transfer into a higher coverage plan when you need it. Not so much. “At 65, when you enroll, you have guaranteed issue,” said Brooke Thomas, director of Medicare at eHealthMedicare.com. “You don’t have it later.” At 65, the typical Medicare enrollment age, you pick your policy, fill out some papers, and the federal government guarantees you will be accepted and also that you will not be hit with a surcharged premium because of your health.